Nooka Yogurt By Karim Rashid | OhGizmo! 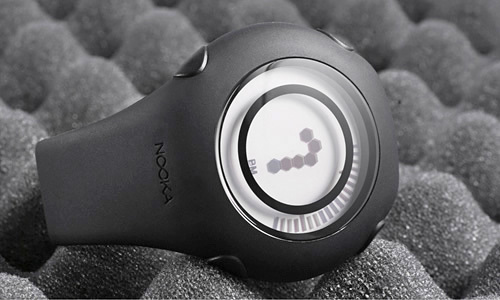 If you’re a fan of watches you’re probably already familiar with Nooka. Like Tokyo Flash their designs tend to be very original and unique, though unlike Tokyo Flash you don’t need a masters degree in Cryptography to read the time. Their latest creation is a collaboration with Karim Rashid called the Yogurt. I have no idea why it’s called the Yogurt though. What I do know is that it features a circular design made from flexible polyurethane with a matching round display that shows the hour with a series of segmented hexagons, and the minutes with a series of dashes that encircle the outer edge of the watch’s face. And it’s available in 6 different colors starting in early February for $130.